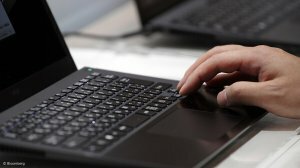 The Commission has referred to the Competition Tribunal for prosecution network maintenance companies, K.F Computers CC (K.F Computers) and SAAB Grintek Defense (Pty) Ltd (SAAB) for cartel conduct. The two firms have been charged with collusive tendering in respect of a tender which was publicised by State Information Technology Agency (SITA). The tender was for the provision of network maintenance and system support services to the South African Air Force’s (SAAF) Ground Command and Control Systems (GCCS) and Current Intelligence System (CURIS). The prosecution follows a complaint from SITA in March 2016 alleging that KF Computers and SAAB may have coordinated their response to the tender. The Commission found that KF Computers and SAAB discussed and agreed as to their respective tender bids in response to the SITA tender advertisement. This conduct amounts to collusive tendering in contravention of the Competition Act. The Commission has asked the Tribunal to impose a fine of 10 percent of the respective companies’ turnover.